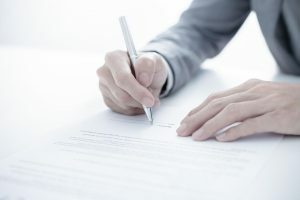 Parenting Time Category Archives — New Jersey Divorce and Family Lawyer Blog Published by New Jersey Divorce Attorneys — The Law Office of James P. Yudes, P.C. January 18, 2019 | Karen T. Willitts, Esq. It is not uncommon as a family law practitioner to experience a difference in the way the family courts handle cases involving the children of divorced or divorcing spouses (where they are matrimonial cases bearing an “FM” docket number) in the dissolution unit, and children of non-married parents in the non-dissolution unit (those bearing a docket number starting in “FD”). Non-dissolution cases are typically far more summary in fashion and are handled more quickly than they are in the in the cases of divorcing parents. The good part of this is that the children’s cases may be processed more quickly and there is less uncertainty in their lives because the children are not enduring a longer, more drawn out litigation than children of divorcing parents sometimes have to survive. In non-dissolution cases, however, because they often are so summary, the court does not have the opportunity to become as familiar with the facts and circumstances. In the recently published Appellate Division opinion in the matter of J.G. v. J.H., A-1312-17 (App. Div. 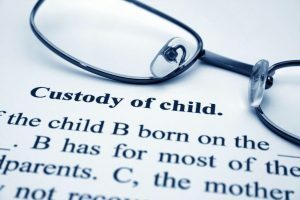 Jan. 2, 2019) expressed some disagreement over how summarily a family court judge resolved a custody dispute between unmarried parents. John was born in 2012 to mother Jane and father Joseph. In 2014 the parties entered into a non-dissolution order that provided for their agreement to share joint legal custody of John, with Jane having primary residential custody and Joseph having liberal visitation with him. In 2015 the parties attempted to reconcile and vacated that order. The reconciliation did not last. Jane became engaged to another man and became pregnant. Joseph filed an order to show cause accusing Jane and her fiance of drug use and asserting that she should not leave John alone with her fiance, asserting that he was a known drug user and convicted felon. Joseph was awarded temporary sole custody of John based on the concern for violence in Jane’s home. The court directed that Jane’s visitation with John be supervised and that it occur outside her home. December 21, 2018 | Karen T. Willitts, Esq. For family law attorneys, it’s beginning to look a lot like Christmas . . . fights over holiday parenting time. The holiday season is often a time of stress, and sometimes of sadness, for everyone. For separating or divorcing parents or newly divorced parents, fighting over how to divide holiday time with their children, there is additional sadness and distress. Every year as a matrimonial attorney I see the stress on separating couples and their children as they either try to adhere to traditional holiday celebrations for the sake of their children, or as they try to adjust with their children to the inevitable new traditions that are going to have to be made as parents separate and cannot spend the full holiday season with they traditionally would, but have to share it. The stress can be additional as grandparents weigh in and wish to spend time with their grandchildren, and when one or both parents begin new relationships that pulls on them or whispers in their ear at holiday time as well. Consider the stress and worry that you and your ex are putting the children under when you argue about holiday parenting time. Parents usually want Christmas to be a magical time for the children. It is not magical when they are aware that their parents are fighting over them. Also, children often come to feel that they are the cause or the source of what their parents are arguing over. 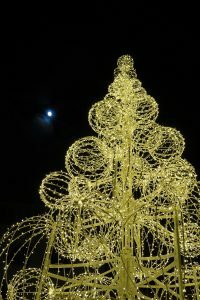 This can create needless feelings of guilt, worry and unhappiness that can ruin the holidays for them. August 17, 2018 | James P. Yudes, Esq. Is the Law in New Jersey Drifting Towards a Presumption of Joint Physical Custody and Parenting Time? December 12, 2017 | Karen T. Willitts, Esq. November 21, 2017 | Elsie Gonzalez, Esq. August 25, 2017 | Karen T. Willitts, Esq. October 14, 2016 | Kevin M. Mazza, Esq.